XXXHOLiC TV Drama: more cast members revealed! 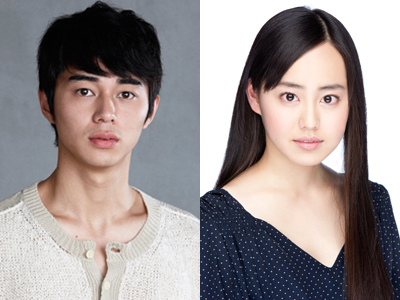 Cinema Today is reporting that Masahiro Higashide will play Doumeki Shizuka and Karen Miyazaki will play Kunogi Himawari in the XXXHOLiC TV Drama adaptation. Again, great choices, I’d say! No word yet on Mokona (personally, I don’t really think Mokona works for live action and I hope they’ll cut it out of it). The XXXHOLiC TV Drama will run for 8 episodes starting in February 2013. I don’t have anything to say this time. I think they fit. They look okay in a glance, never watched any of their drama though. Let’s hope that they’ll have a good performance! Ugh~ can’t wait for it already. And yes, I agree they might as well cut Mokona rather than having her as a lame plushie, seriously. I hope they do cut Mokona. who will be casted as watanuki? I wonder how the actors manage the seme-uke relationship in live action. Himawari is so adorable, she’s going to be perfect! He doesn’t look so much like Doumeki to me, but he’s so pretty I can’t complain either. True, but maybe he will look differently once he’s “in character”.